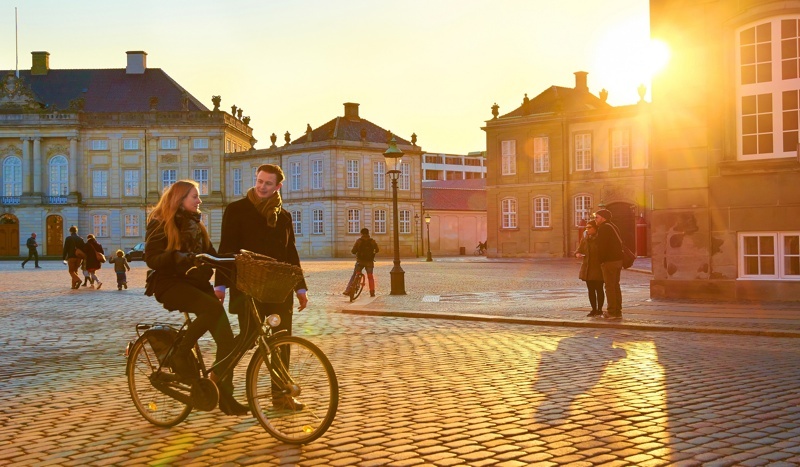 A global travel publisher has named the Danish capital the world's top city to visit in 2019. We take a look at why. Denmark’s capital of cool is unstoppable. New-Nordic Noma has gourmands swooning with its new digs, urban farm and groundbreaking Scandinavian menus. The city’s booming street-food scene is smashing it on Refshaleøen, where a former shipyard is now rebooted food and craft market Reffen. Why visit Copenhagen in 2019? 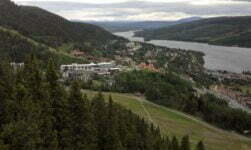 It’s one of the easiest cities to visit from Norway as both SAS and Norwegian offer direct flights from many airports. While many of us in Norway use Copenhagen Airport regularly as a transfer point to long-haul flights, not everyone stops to take a tour of the city. 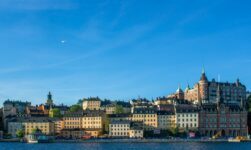 That’s a crying shame, because it offers a heap of history, culture, food and entertainment, not to mention a much greater variety of shopping opportunities than in Norway! Scroll down the page to join me on a tour of this fascinating city, and find out for yourself why you should visit in 2019. Danes are often said to be some of the world's happiest people. Spend any length of time in the capital and you will start to see a few pointers as to why it such a ‘liveable' place. 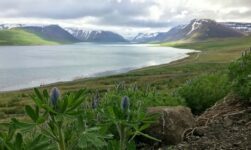 There is a lot of green spaces, fresh air, and clean water. Rush hour is a breeze as the city's flat topology (this is Denmark, after all!) and substantial investment has made it one of Europe's top cycling cities. For those of us visiting without a bike, the city streets are easy to walk around. Just watch out you don't wander into the cycle lanes! For longer journeys including to and from the airport, the public transport is clean and efficient. The colourful 17th-century townhouses create a picturesque backdrop to this popular canal waterfront, now one of the city's most popular entertainment districts. 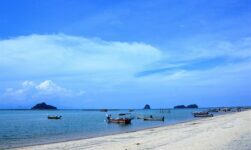 By day, the relatively small district throngs with tourists looking for the perfect insta-snap and seeking out a boat trip, while later in the day the restaurants and bars take over. 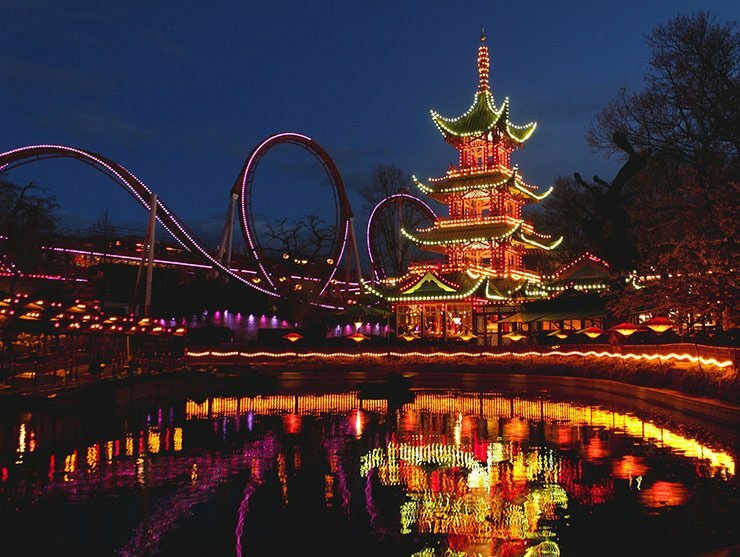 If you’re visiting in the fairly short summer season, make some time to visit Tivoli Gardens. The amusement park is so old that the likes of Hans Christian Andersen and Walt Disney were notable fans! The park's attractions range from one of the world's oldest wooden rollercoasters right through to modern VR experiences. One of the park's highlights is the outdoor theatre, where classically trained dancers perform classical ballet, modern dance and even traditional pantomimes. Needless to say, this is a great place to come with kids. The hippies and squatters of the former military barracks at Christiania have developed their own somewhat controversial set of rules. Relations with the Danish government and authorities in Copenhagen swing back and forth. The area is hugely popular with visitors, thanks to the curious homemade houses, artist workshops and galleries, music venues, and organic cafes in an area still dominated by the natural environment. It's best not to take photos. Many people choose to visit the city for its sustainability record, whether for academic or personal interest. 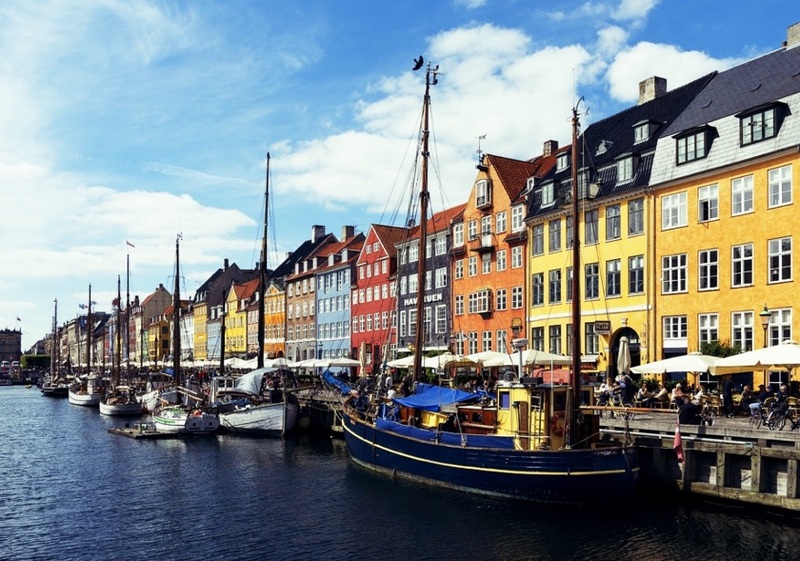 Copenhagen was named the European Green Capital back in 2014 and like Oslo, aims to become a carbon-neutral capital within the coming ten years. Adding a sustainable touch to your visit is easy as more than two-thirds of the city’s hotel rooms hold official eco-certification. Many hotels offer free bike loans to their guests, while organic food makes up 24% of the total food sold in the city. The rooftop ski slope installed on the top of the waste management facility at Amager Bakke is a popular sight with green tourists. Another attraction cited by Lonely Planet was BLOX, the new ‘blocky' harbour-side building home to the Danish Architecture Centre. The plaza and promenade are open 24/7 and have quickly become a popular meeting place for city locals. If you're interested in Scandinavian history don't miss the National Museum of Denmark, which chronicles the country’s long history through art, objects, and themed rooms ranging from Vikings through to Egyptian mummies and even a hash stall from Christiania. You could also catch a game at Parken Stadium, home to FC København. They are the most successful football club in Denmark despite only being founded in 1992 through the merger of two other city clubs. Unlike Norway, the Danish football season runs through the winter. The highlight of the calendar is the derby with Brøndby. Andersen Boutique Hotel: Enjoy vivid colours and a friendly atmosphere in this design-focused hotel. 71 Nyhavn Hotel: Stay in these converted warehouses at the heart of the vibrant Nyhavn district. 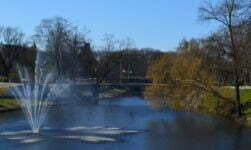 Ibsens Hotel: Good value, good location, great terrace: there's little not to like here! Wait, what? Yep! A weekend in Copenhagen can easily include a hop across to Sweden thanks to the super fast train connection across the Öresund bridge to Malmö. Fans of crime drama The Bridge will be especially interested as filming took place in the two cities, and the series famously opened with the discovery of a body on the bridge itself. 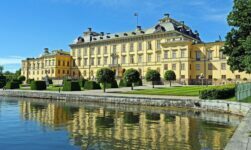 Malmö also offers some other interesting attractions including a boat trip around the city's canals and waterways, the large galleries in the former castle, and the medieval buildings on Lilla Torg square. 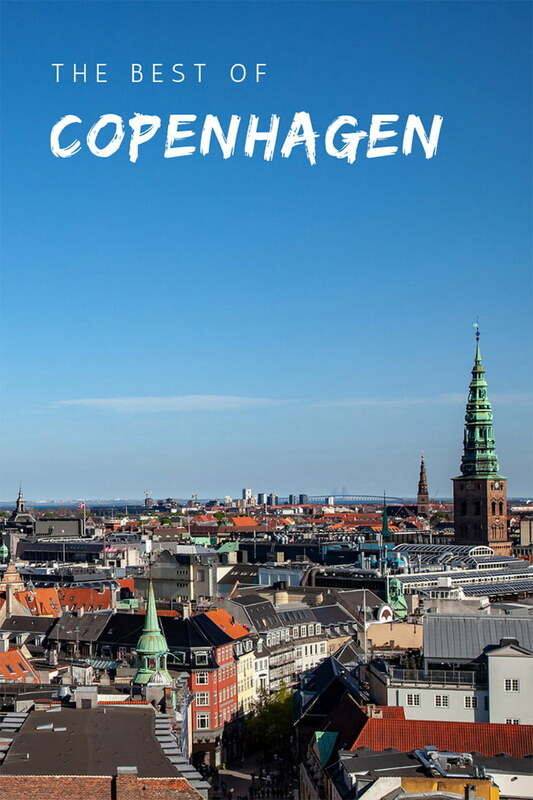 What are your favourite things to do in Copenhagen?